St. Barnabas Chapel of Ease was constructed on Sandy Point Road in 1887 and has served the faithful in the environs of Millidgeville for more than a century. Even before the church was constructed, a Sunday School and services in private homes or the outdoors were offered to the community. The St. Barnabas Chapel of Ease Fund will preserve and pass on the heritage and story of this historic place of worship, along with good works, through annual earnings from this permanently endowed Fund. Supported financially, morally and physically by St. Paul’s Church, the land was given by David and Olive Peacock. Benjamin Roden designed the chapel and it was built by James Taylor, along with the help of many community volunteers. The chapel is of an architectural style frequently used in Anglican churches of the era. It has the original, handcrafted wood paneling and pews in the interior, along with stained glass windows and seats about 100 people. The first service was conducted by Rev. Canon DeVeber, rector of St. Paul’s, assisted by Rev. AJ Reid, on November 18, 1887. Over the years, generous donors provided the bell (which remains today), windows, a brass lectern, offertory plates, altar adornments, the cross, candleholders, an organ, prayer books, the communion rail, pews, a new foundation, the furnace and lighting. Many gifts were made in memory of loved ones. Chapel wardens have been responsible for the financial affairs of St. Barnabas for decades. Joan Pearce has served St. Barnabas Chapel of Ease as Warden/Chair and various executive positions for more than a decade. Her leadership and interest in local heritage have earned her recognition by Heritage Canada and by the City of Saint John on two occasions. 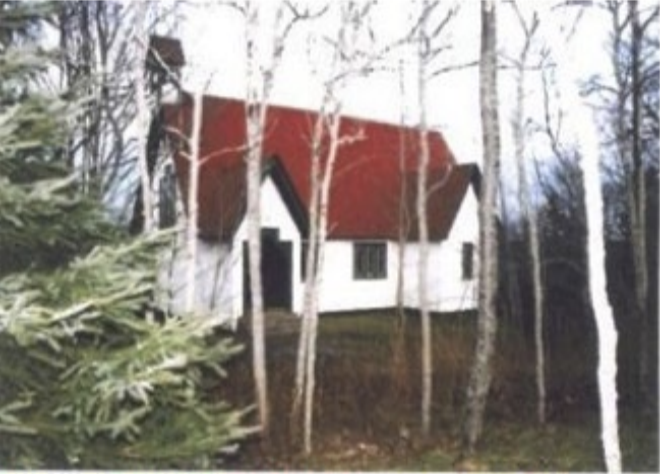 It had been the hope of the congregation that the now de-consecrated Anglican chapel could be put to continued good use in our community possibly through a non-profit organization. In spite of their best efforts, maintenance of the building was becoming a great challenge. When no charitable group came forward, it was recently sold. As per their wishes, the congregation the funds were endowed with the Greater Saint John Community Foundation.